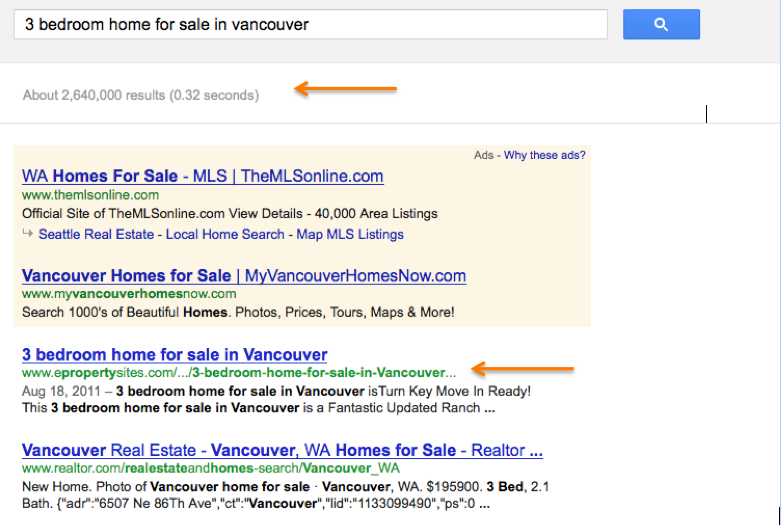 Have you been blogging your properties? Property blogging has been around since the first agent wrote the first blog post about a property. It’s not a new concept, but we’ve certainly taken it to a new, powerful level here at ePS. So what, exactly, is a property blog? A property blog is a blog post that combines a digital flyer for your listing with a link back to your single property website. Here is an example of a property blog, and here is a quick video tutorial for you newbies out there. Property blogs act just like regular blog posts, but because they link back to your property site you’re able to use them as a wonderful lead generation tool. And thanks to the SEO-amazingness our developers built in to the site and the additional SEO training we provide our monthly members, some pretty great things are possible. 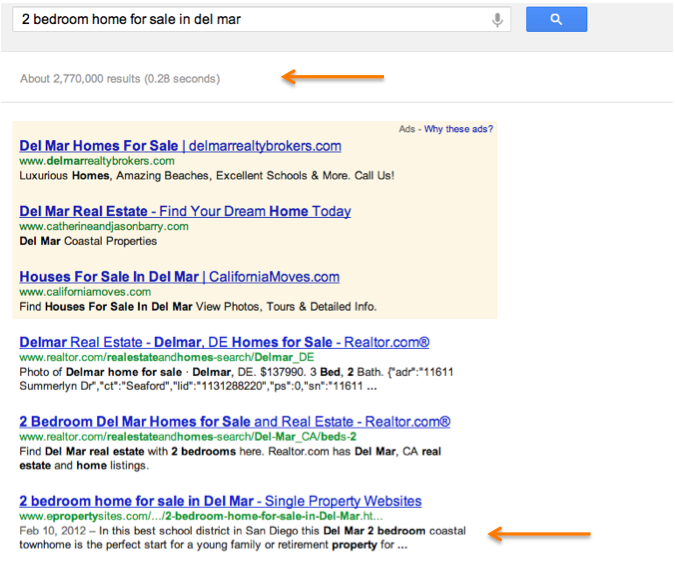 It’s important to note that first-page Google rankings are not guaranteed. 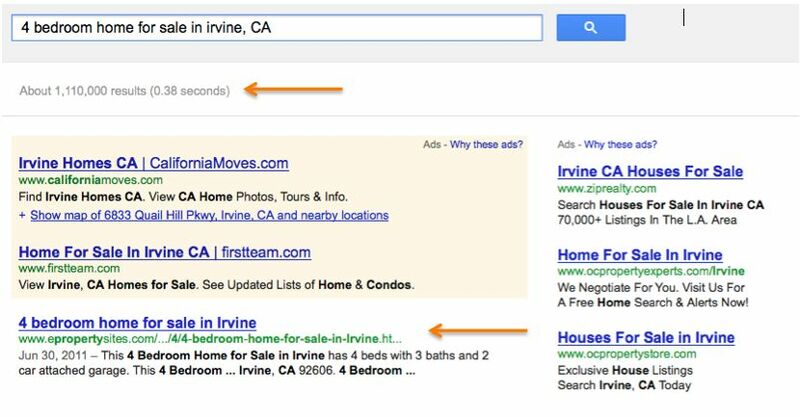 There are way too many variables (how many other results are competing for the tops spots, how strategically you place your keywords, etc), and Google is much too fickle a beast for us to promise results every time. But we can say that if you implement the steps we lay out in our User Guide, you just may achieve some incredible results. Absolutely! 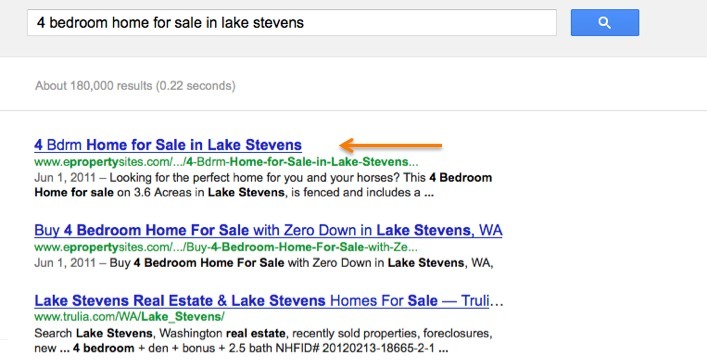 Below are just a few examples of agents whose listings came up in organic search results on Google. Wouldn't you love this to be your listing? To find out if property blogging is part of your monthly membership, take a peek at our pricing page or give us a call at 949-328-5000. We can't wait to help you succeed!